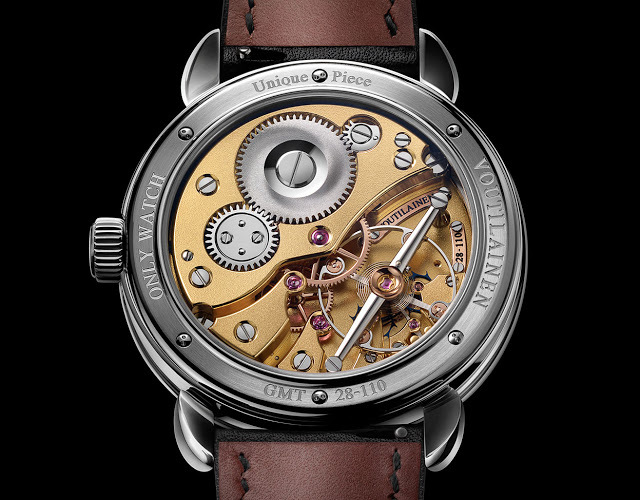 Voutilainen joins all all-star cast of independent watchmakers like F.P. Journe and Speake-Marin who are contributing to charity auction Only Watch 2015 with the GMT-6 Only Watch. This one of a kind GMT-6 is one of the rare Voutilainen wristwatches to have a champleve enamel dial, made of a disc of solid white gold decorated with guilloche then enamelled in translucent blue on its centre. The day and night indicator on the second time zone display at six o’clock is similarly enamelled in blue and gold, representing nighttime and day time respectively. This unique piece is mechanically identical to the regular production GMT-6. Pressing the crown advances the second time zone disc in one hour intervals. 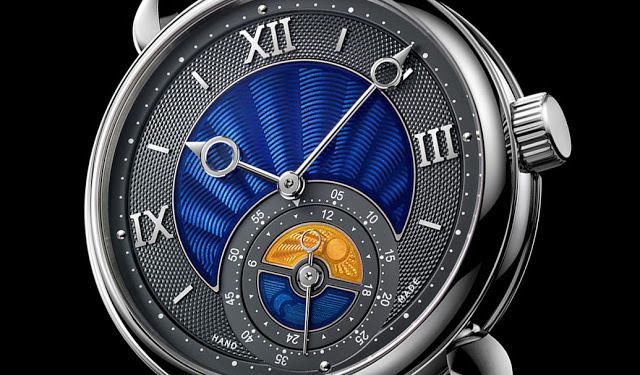 The calibre 28 inside is based on the movement of the Vingt-8, Voutilainen’s signature chronometer wristwatch. It’s equipped with an exceptionally large, free-sprung balance held aloft by a long steel bridge with rounded arms, similar to that used for high-end tourbillon regulators. And the escapement is a direct-impulse type, with two escape wheels, a set-up that functions more efficient than the traditional lever escapement. Just like the Patek Philippe Reference 5016A and Laurent Ferrier Galet Square that are also part of the Only Watch sale, the GMT-6 has a stainless steel case, measuring 39mm in diameter, though the crown and buckle are white gold. 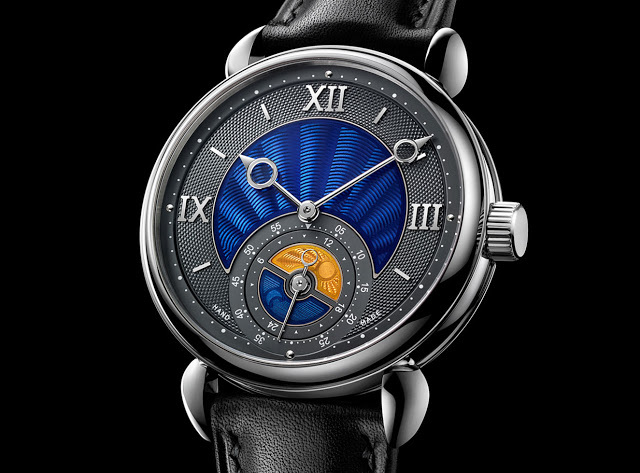 It will be sold on November 7, 2015, alongside 42 other unique timepieces to raise funds for Duchenne muscular dystrophy research.